The 10th edition Cold Storage Kids Run happened on 28 May 2017 all the way at Sentosa, our country's iconic island resort getaway. 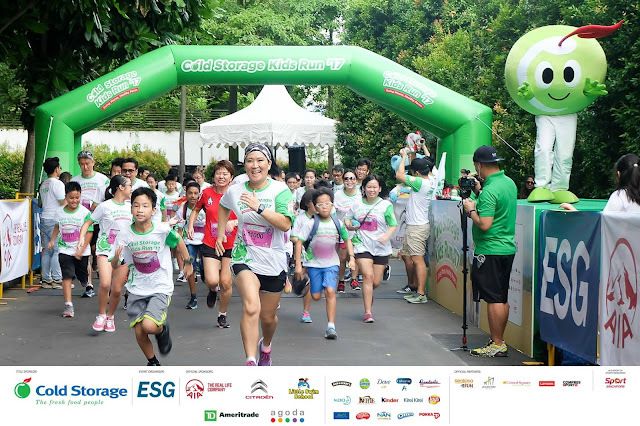 We are familiar with Palawan Green in Sentosa as we have been here for different family run events over the past years. 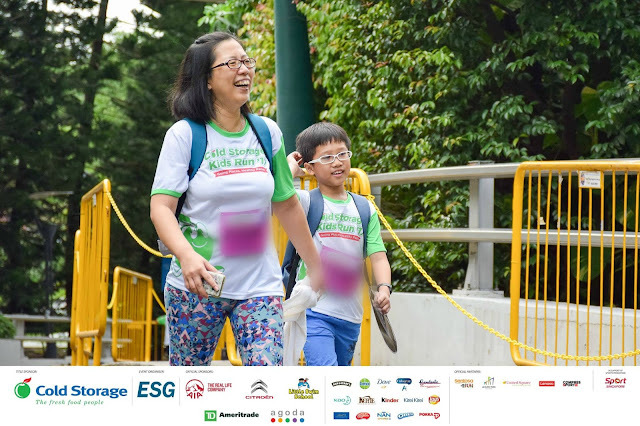 We made our way slowly to the event area and started to mingle with the crowd, some who are waiting for their flag off time like us or some who has ended their run that started earlier that morning. Every one was in good spirit and the sunny weather adds on to the good atmosphere. A bottle of ice cold Peel Fresh to energize us before we head off to the holding pen. This year we are running alone because our friends' kids are younger than DinoBoy thus we are at different categories, running at different timing. I wanted us to finish the run earlier so I made sure we were at holding pen entrance when it was near our flag off time so that we are in the 1st wave of our category to be flagged off. Can you spot us in the photo below? 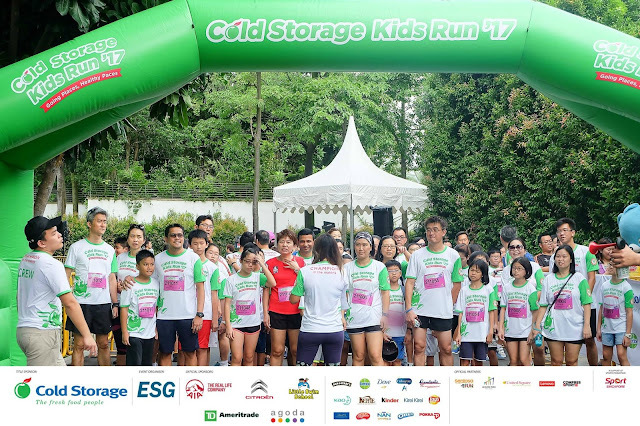 For the past Cold Storage Kids Run we are always at the back, always couldn't catch what the Emcee was saying or join in the cheer etc, that day being in the first line was a different experience! We were so pumped up by the Emcee who pushed our adrenaline up high, the kids just couldn't wait for the blow horn to go off! DinoBoy usually ran fast ahead and finish the race before me but that day he ran with me and decided to walk instead after a while. That was unusual but he said he was tired, I guess the whole week of endless school work took a toll on him. 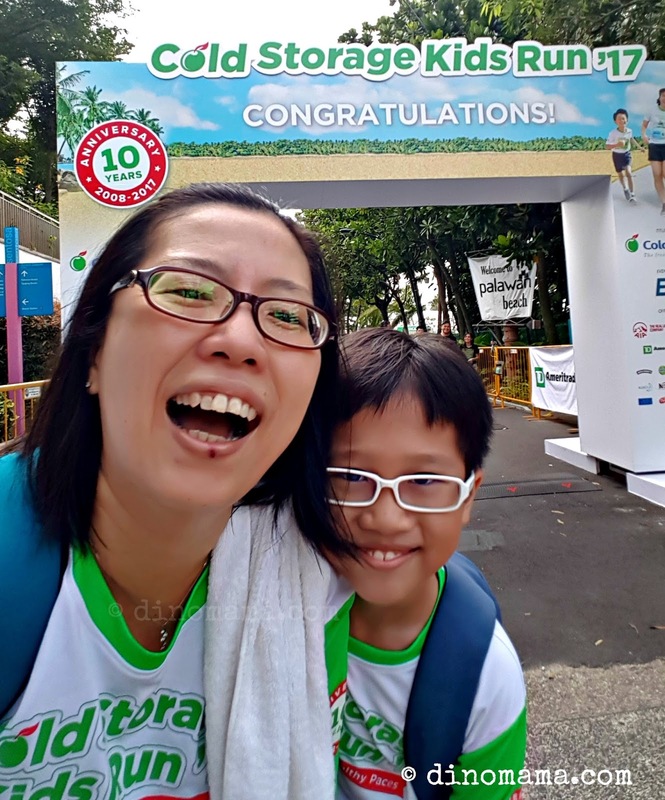 So we chatted, joked and strolled to the finish line. And we made it!!! Just gotta pose in front of the finish line even though we didn't really run but we had enormous fun along the way! Like previous years, there was a carnival for all to play and enjoy, many booths with drinks and food either free for all or pay for it. One could easily while away the time eating and playing at the carnival, even though its an outdoor event there are plenty of places that offers shades or place to hide away from the sun. It was heartening to see so many people (some 9000 of us I heard), from the very young sitting comfortably in the pram to the very young at heart coming together for such a great family bonding event. 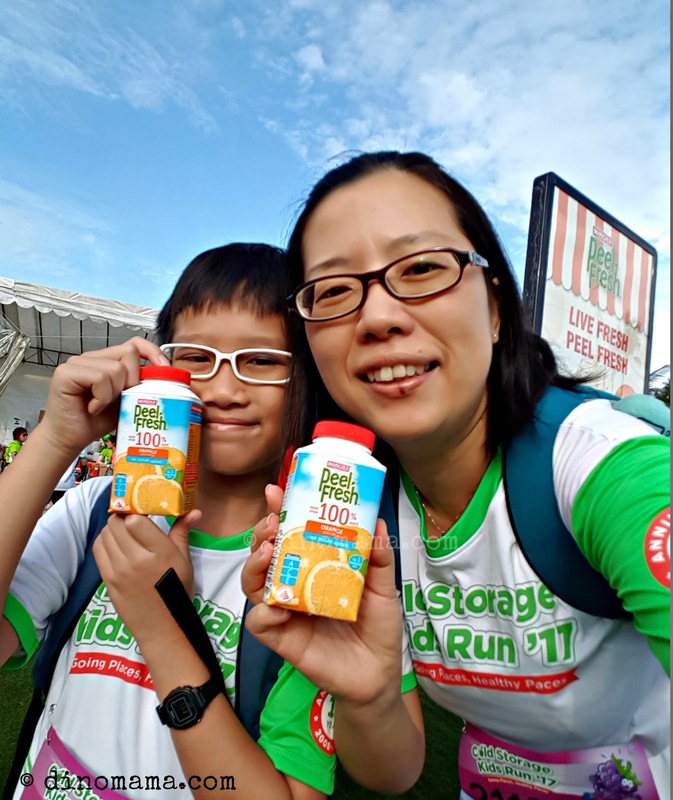 This is our favourite family run event because it is well organised! I like that there are many event volunteers along the way cheering the runners on, at least they spur me to persist and run on a few meters more before walking again. There were security personnel around too to ensure that no vehicles nor bicycles are in our race route. As we have to make a turn to run back to near the starting line, some parts of the route have to cater for runners running at both directions. 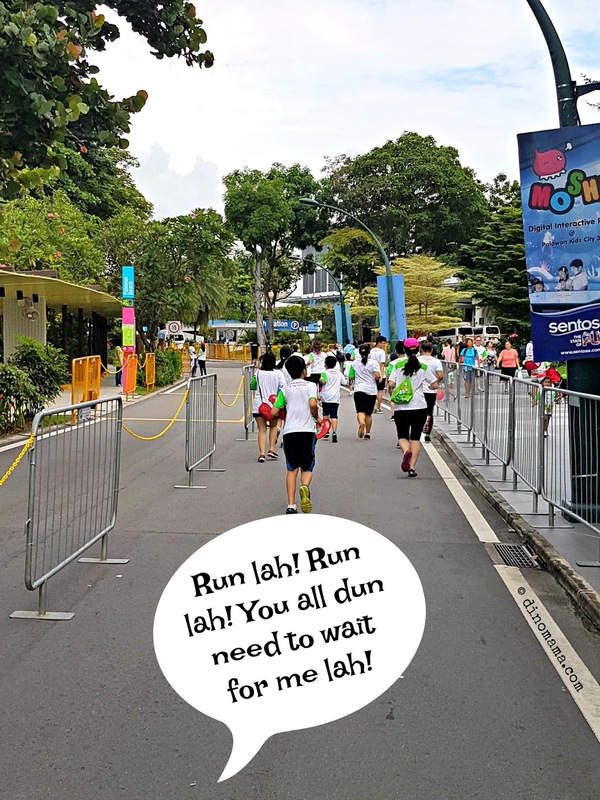 To ensure the smooth running and safety of all runners, a fence was placed in the middle of the road divide the road into half for runners in each direction to run on (that also mean we cannot cheat by turning around at that point to run back lor hahaha~). 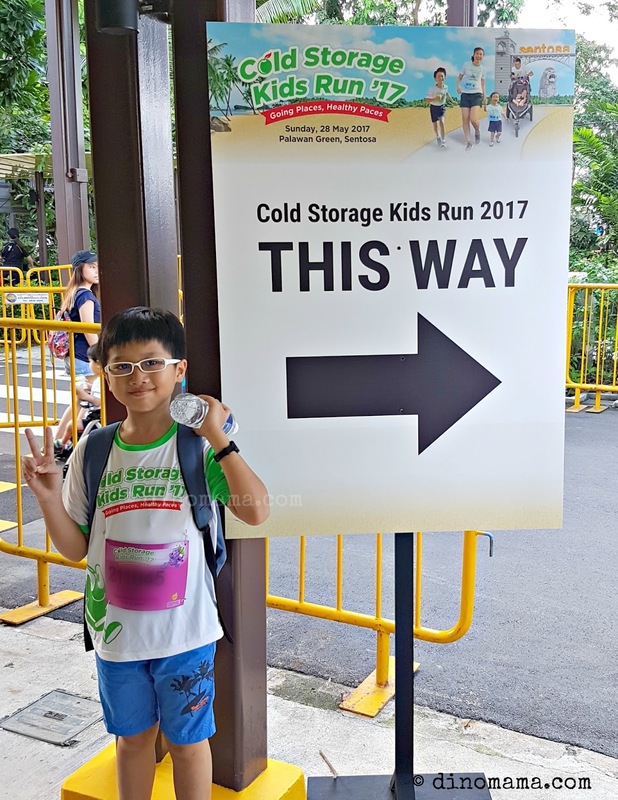 Disclaimer : We were invited to join in the Cold Storage Kids Run for the purpose of this post. No other compensation were received. All photos, unless otherwise stated, belongs to The DinoFamily, you may not take them for personal use without seeking our permission. All opinions in this post are 100% ours and based on our experience at the event. 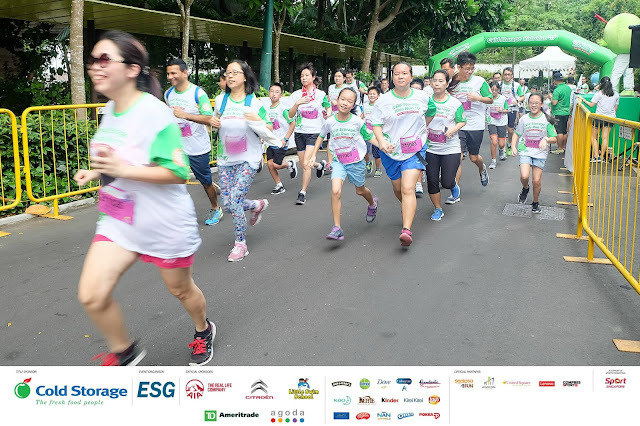 It's very lovely to see you both participating in this run, my little princess is still a toddler and we can't go to the event yet.